Hey friends....I might be away from my craft desk but don't you just love how you can schedule posts for when you are away? I am so loving this stamp set from Penny Black called Life's Messages. 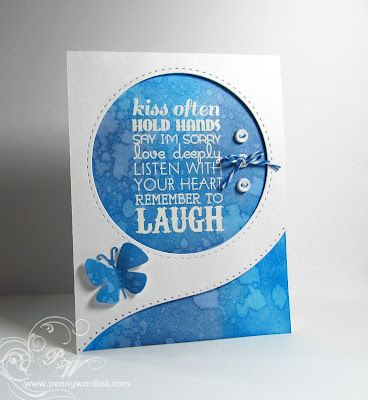 Four perfect sentiments in this set to use on cards or scrapbook pages. Are you liking the beautiful blue background? I do love throwing water on Memento inks...like Forrest Gump said "you never know what you're gonna get". 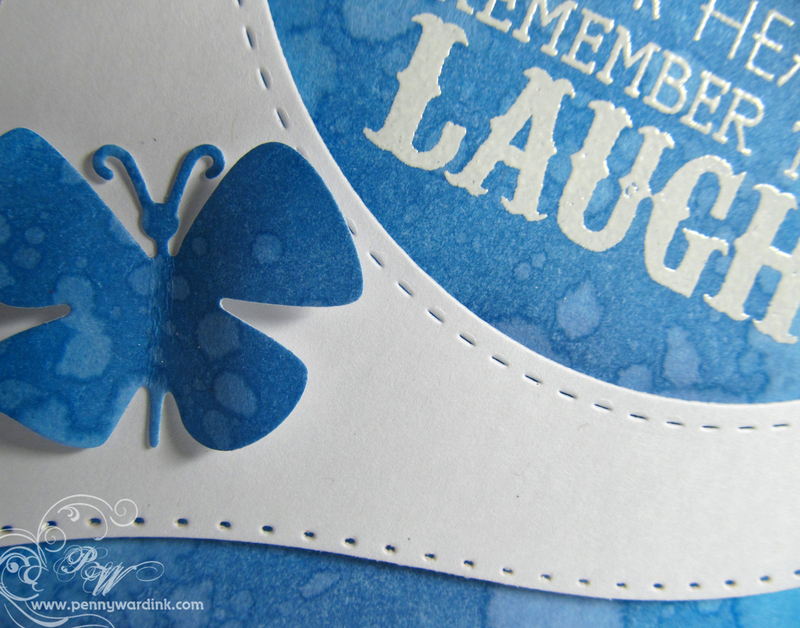 The adorable butterfly is from the Flutters die set by Penny Black also. I just love how the curved edge looks with the circle around the sentiment. This card is entered at the Moxie Fab Trigger Challenge. This is one of your awesomest cards!! The blue, the curve, the tiny holes ... perfect!! So crisp and fresh. Love the design and the background is awesome. What a gorgeous card. I love how you made the background and the curves and pieced holes are beautiful. Hope you find a challenge to appreciate it! This is gorgeous...love the design! 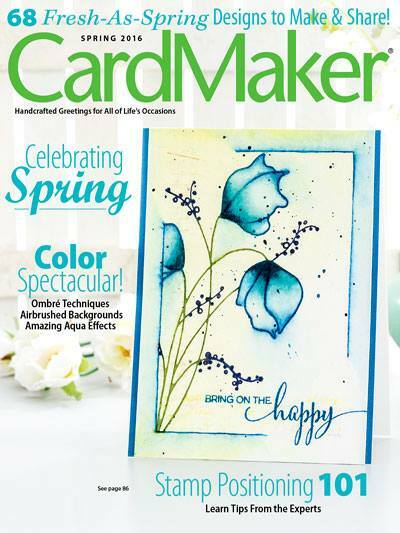 Love the clean, graphic design of your card!